May 27, 2010 - Bell Helicopter Textron Inc. has agreed to pay the United States an additional $3,718,770, bringing the total paid to resolve civil claims arising from the company’s cost charging practices on some of its contracts with the government to $16,570,018, the Justice Department announced today. 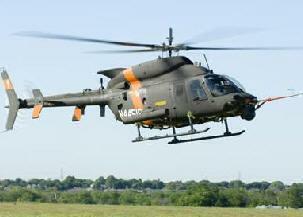 The Army and other government agencies contract with the Ft. Worth, Texas-based company to purchase helicopters and parts, modifications, customization, and related goods and services. In August 2004, Bell notified the Defense Department’s Inspector General that its billing of the costs of certain subcontracts, work transfers, and other transactions with its subsidiaries, divisions, and affiliated companies had resulted in overcharges to the government. The company submitted a report in 2006 describing its conduct and the financial impact on the government and paid the government $12,851,248. While the government was investigating and analyzing the conduct the company disclosed, Bell submitted additional reports detailing similar intra-company transactions with Bell Helicopter Textron Canada Limited that resulted in overcharges. As part of the settlement announced today, Bell agreed to pay an additional $3.7 million to resolve any claims the United States may have arising out of the newly disclosed conduct. "We are committed to working with government contractors who self-disclose serious misconduct to reach a just resolution that protects federal procurement programs and the taxpayers," said Tony West, Assistant Attorney General for the Civil Division of the Department of Justice. "Those who fully cooperate with the government will be dealt with fairly." The successful resolution of this matter is the result of a lengthy investigation and analysis by the Justice Department’s Civil Division, the Defense Criminal Investigative Service, the Defense Contract Management Agency and the Defense Contract Audit Agency. This matter falls under the umbrella of the National Procurement Fraud Initiative. In October 2006, the Deputy Attorney General announced the formation of a National Procurement Fraud Task Force designed to promote the early detection, identification, prevention and prosecution of procurement fraud associated with the increase in government contracting activity for national security and other government programs. The Procurement Fraud Task Force is chaired by the Assistant Attorney General for the Criminal Division and includes U.S. Attorneys’ Offices, the FBI, the U.S. Inspectors General community and a number of other federal law enforcement agencies. The handling and resolution of this matter, as well as others brought by members of the task force, demonstrate the Department of Justice’s commitment to helping ensure the integrity of the government procurement process.